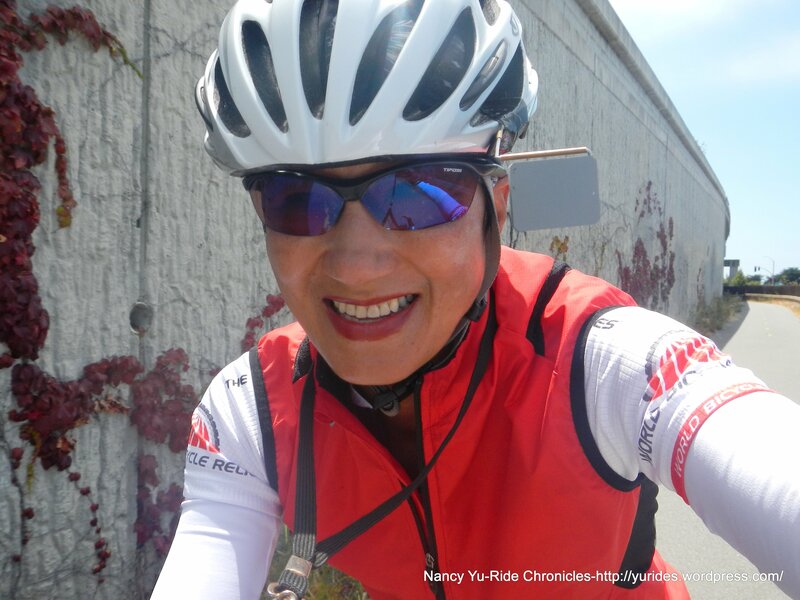 My, my, it’s time for another birthday ride! 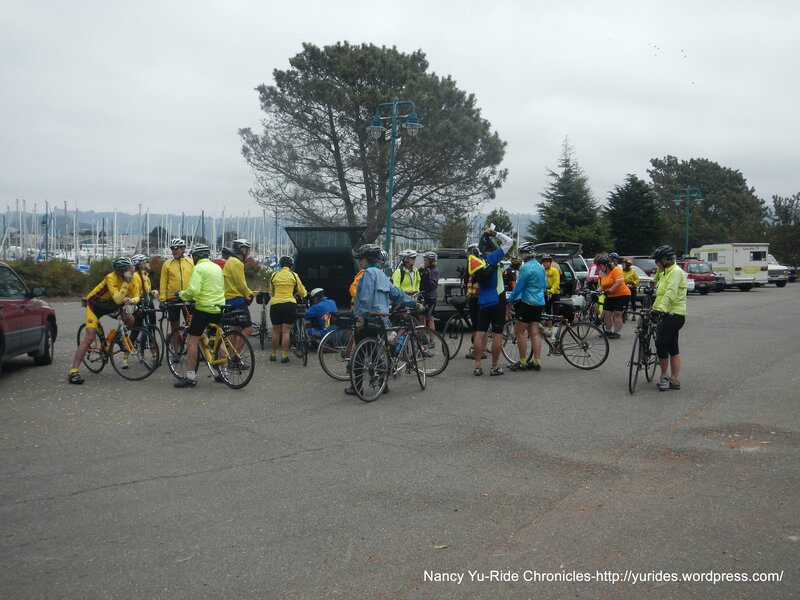 Lynn S is leading today’s ride out to Pt Richmond for lunch at Little Louie’s. 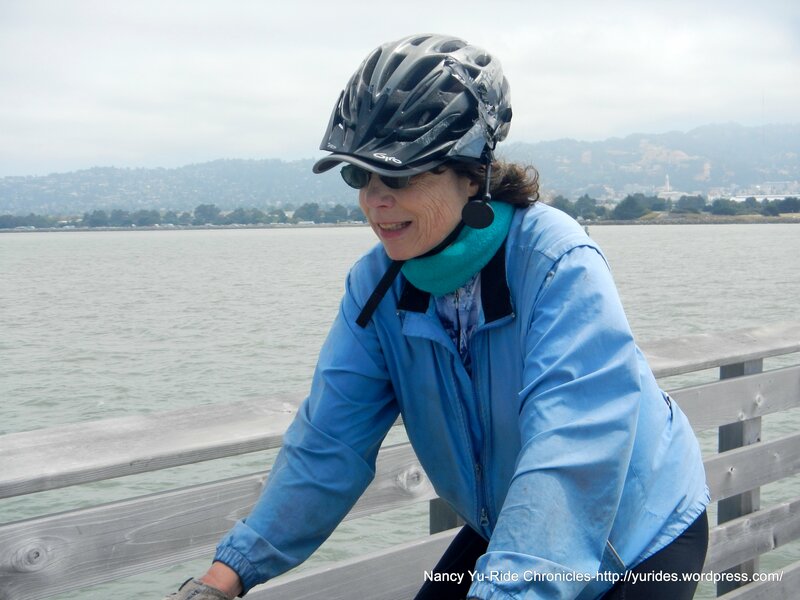 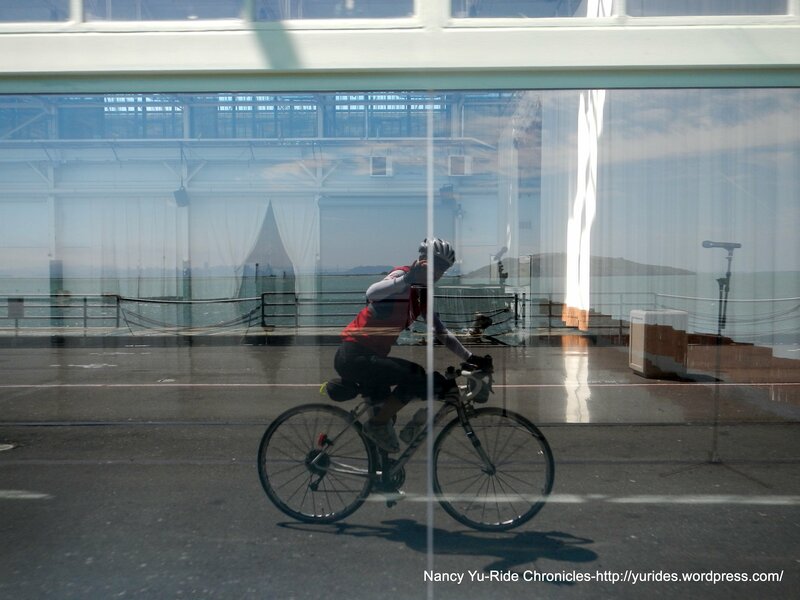 I ride out from home to meet up with the group at the parking lot in front of Skates By the Bay at the Berkeley Marina. 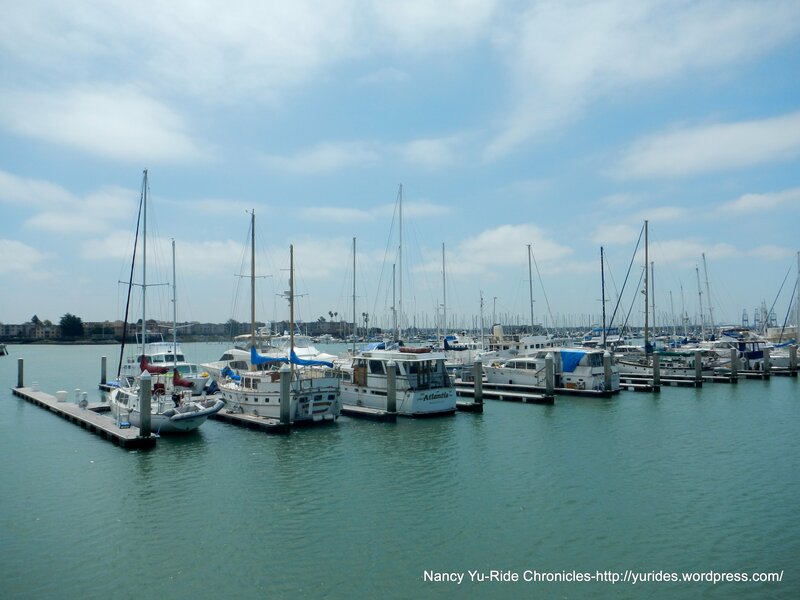 From the parking lot, we head out on University Ave to Marina Blvd for the jaunt around Cesar Chavez Park. 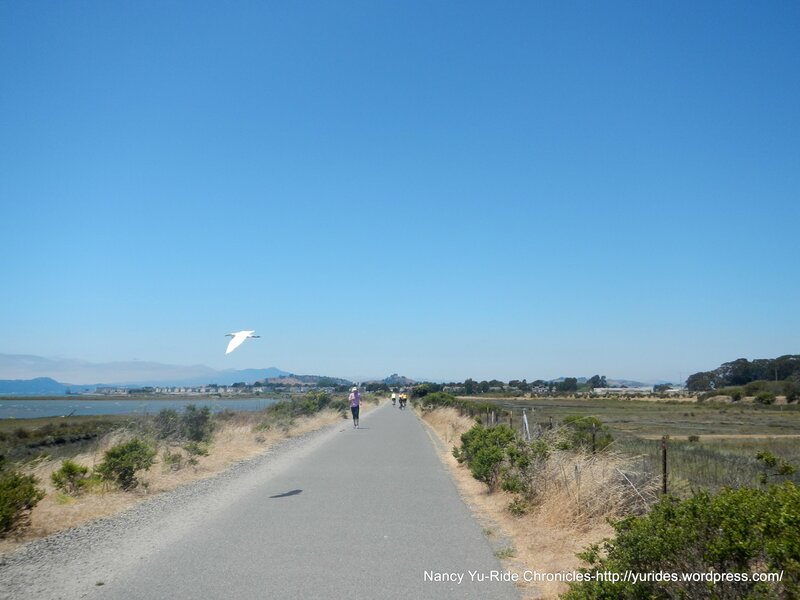 We get back to University Ave onto the Bay Trail towards the Emeryville Marina. 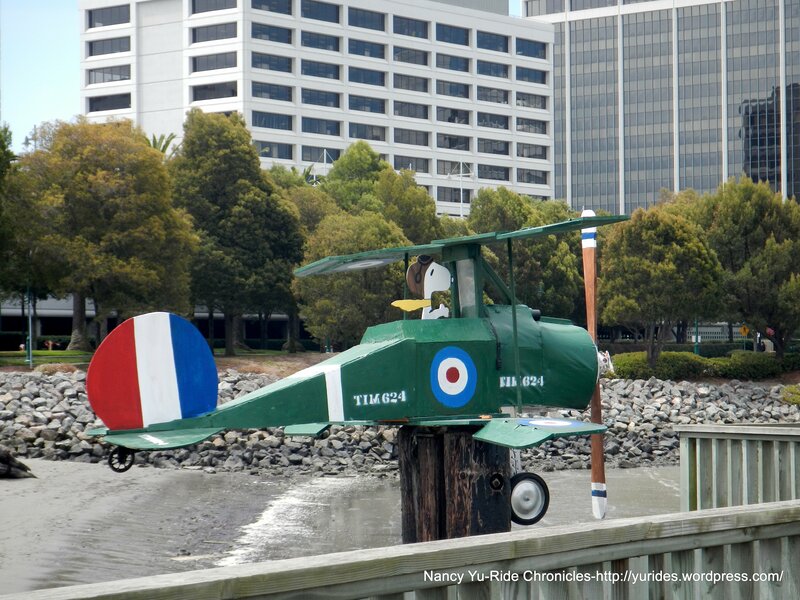 The mudflat sculptures are making a comeback in Emeryville! 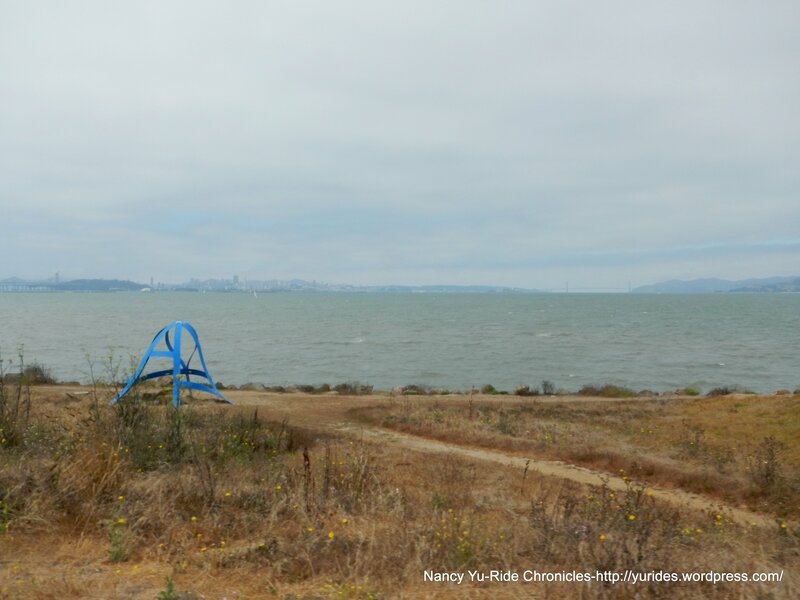 From this part of the trail, you get great views of the Emeryville Towers, the Bay Bridge, Marin County, the Berkeley hills and the boats on the marina. 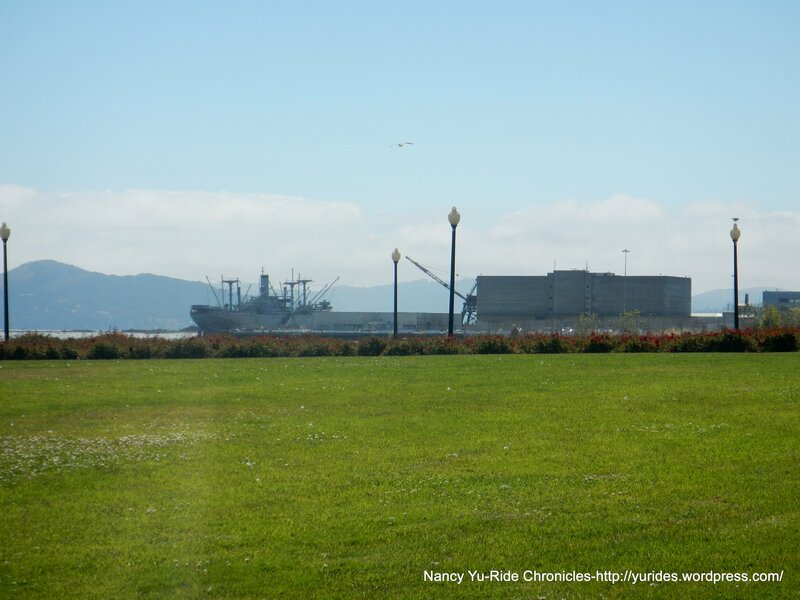 We continue north along the Bay Trail out to Gilman Ave for the climb up to the Golden Gate Fields upper parking lot. 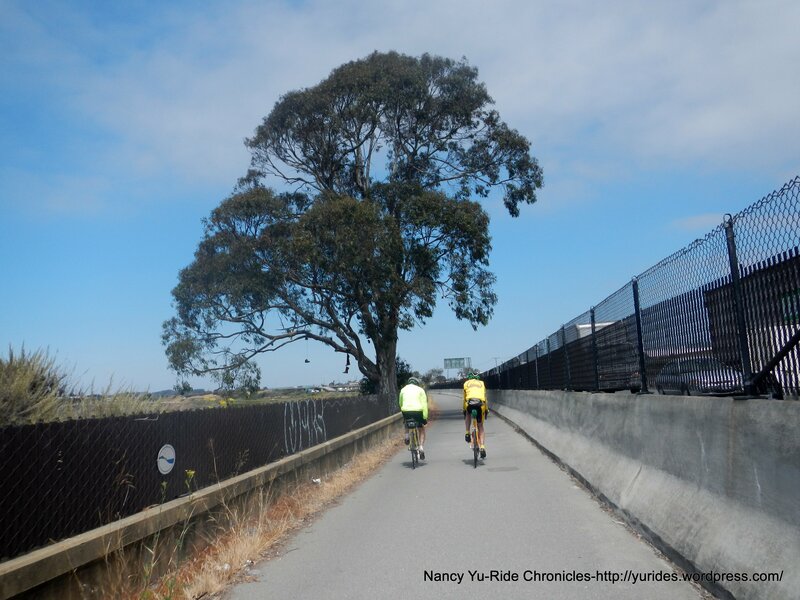 We cross the GGF lower parking to Buchanan St to pick up the Bay Trail that runs along I-580. 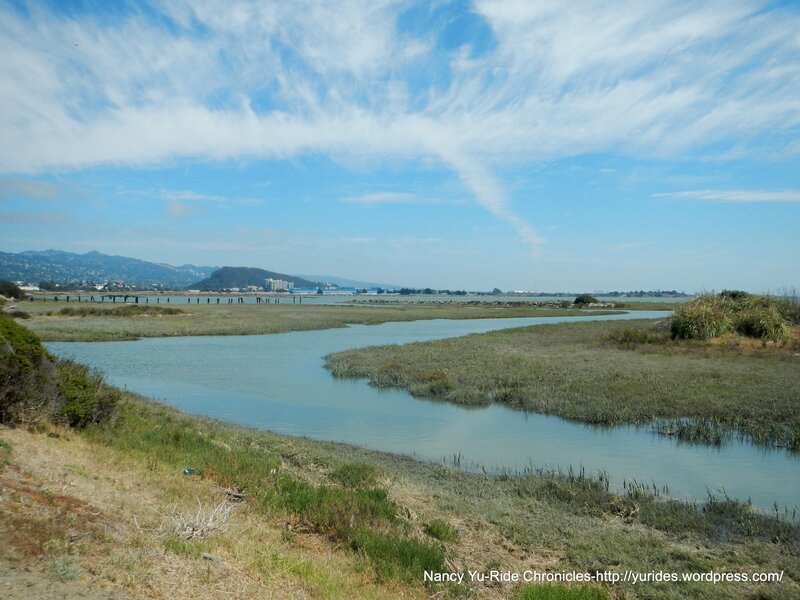 The trail takes us pass the Costco on Central Ave, a EBMUD treatment plant, Mudpuppy’s and the Pt Isabel Dog Park. 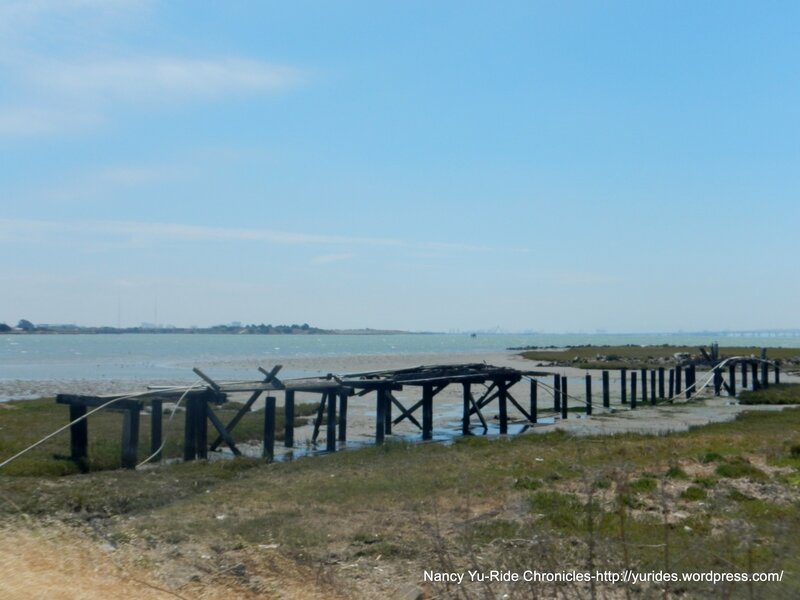 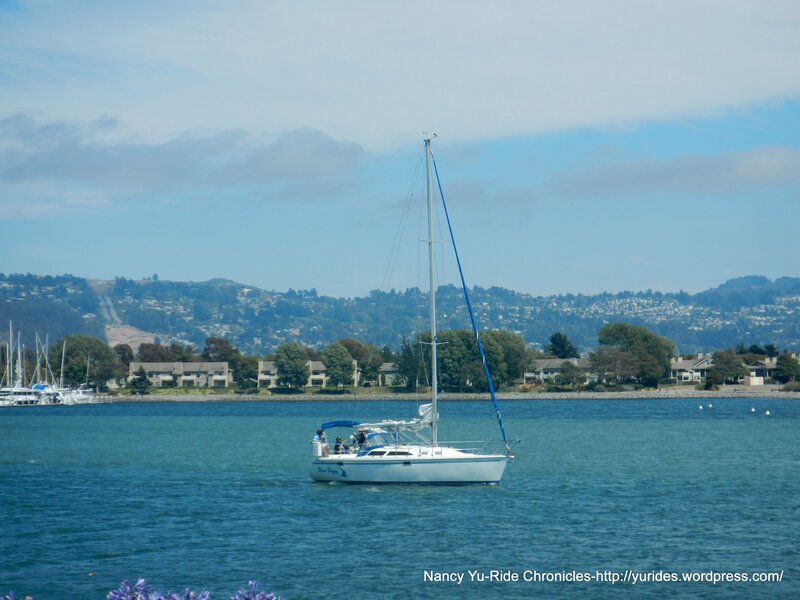 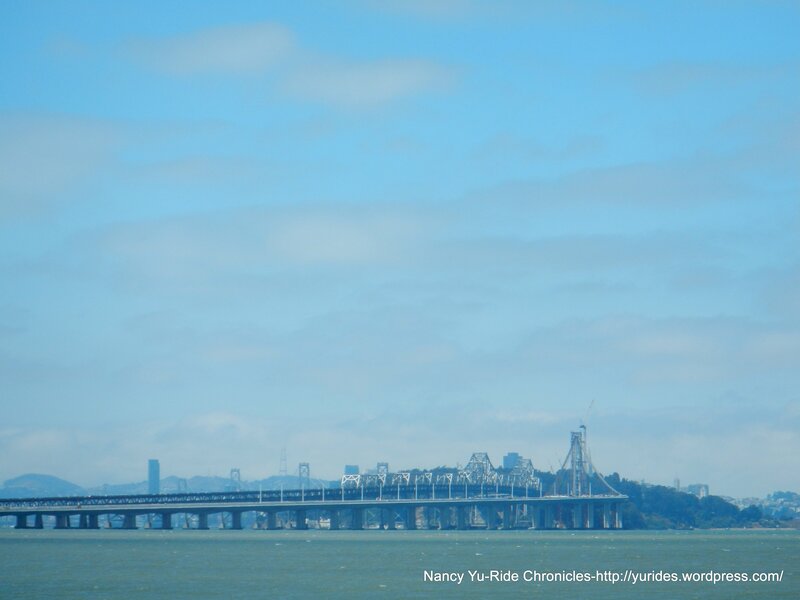 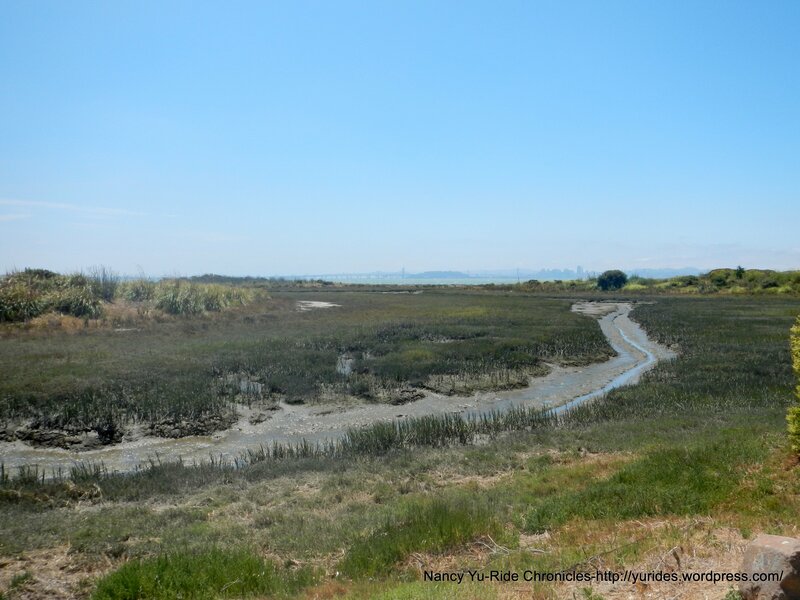 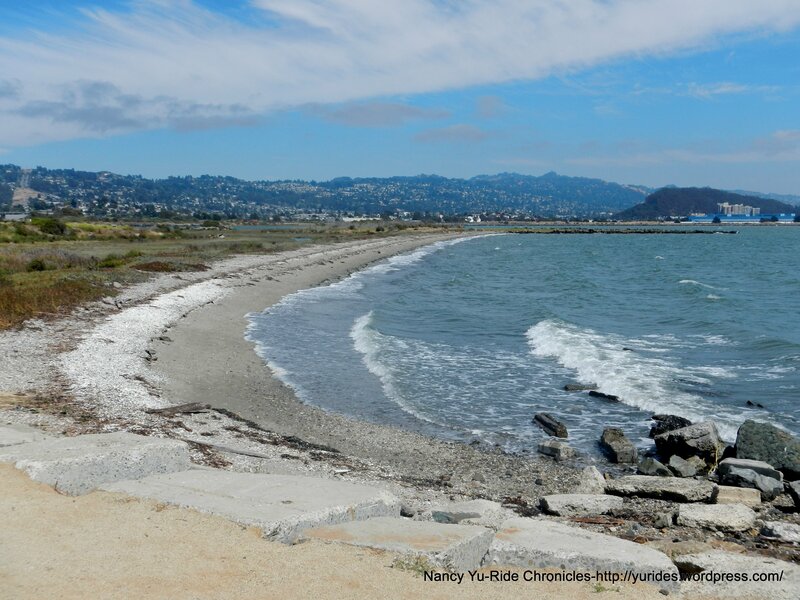 You get fabulous views of the restored marshlands and of SF Bay! 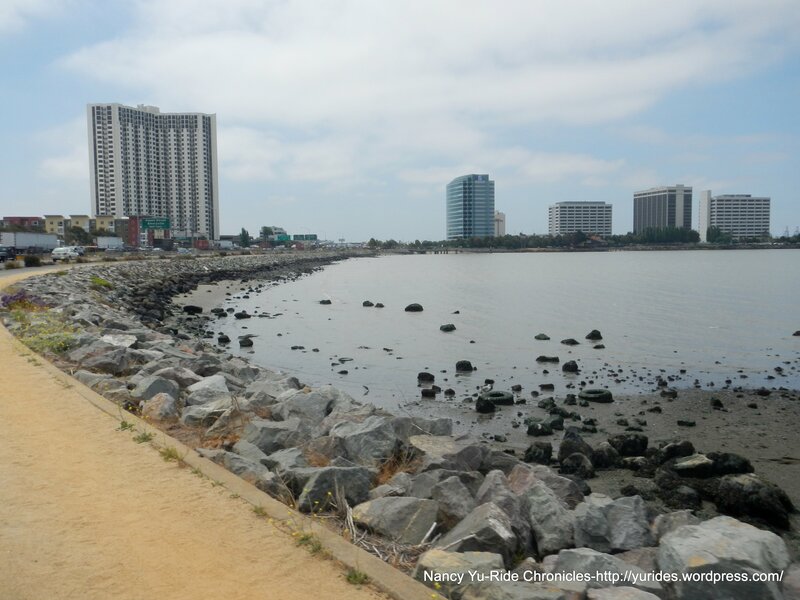 We continue on the trail out to Marina Bay and the Yacht Harbor. 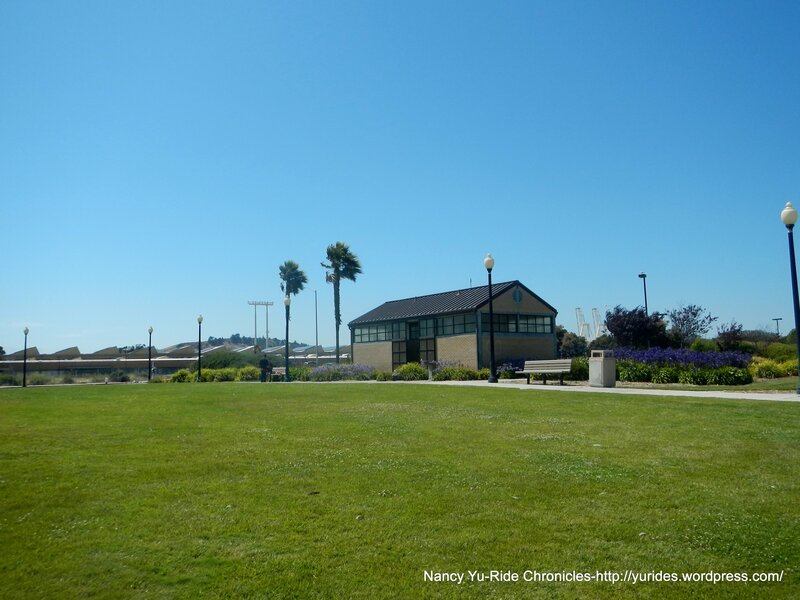 There are a few restrooms located along the way; at the Shimada Friendship Park, the Yacht Harbor and near the Rosie the Riveter Park. 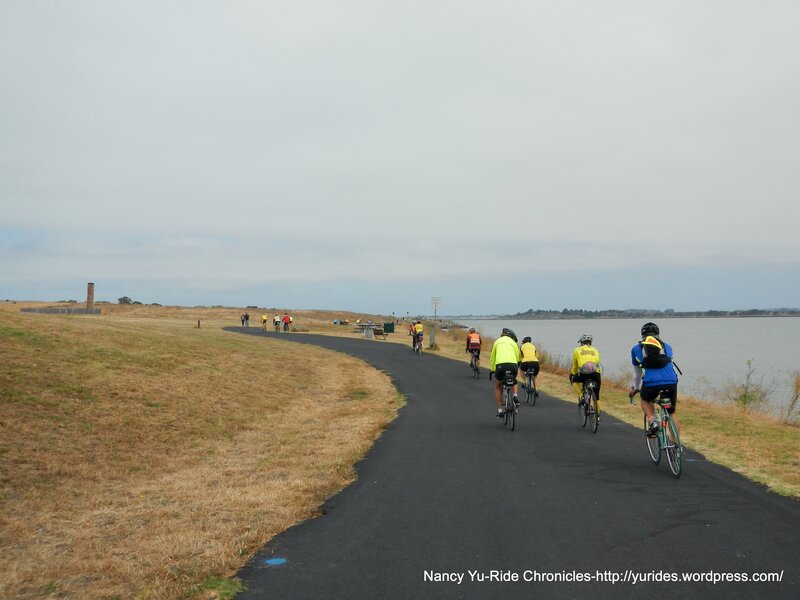 The trail ends by the Craneway Pavillion so we take Harbour Way to Cutting Blvd and Garrard Blvd into Pt Richmond. 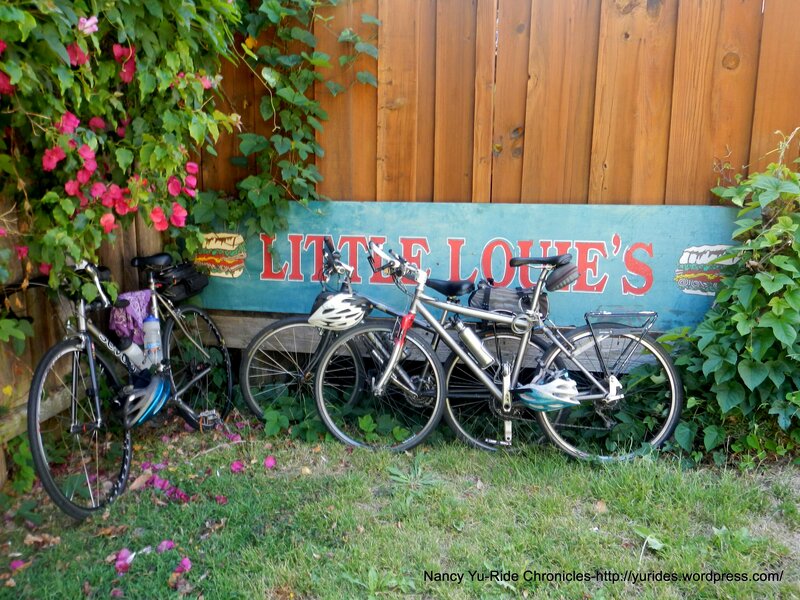 We arrive at Little Louie’s for lunch out in the rear patio. 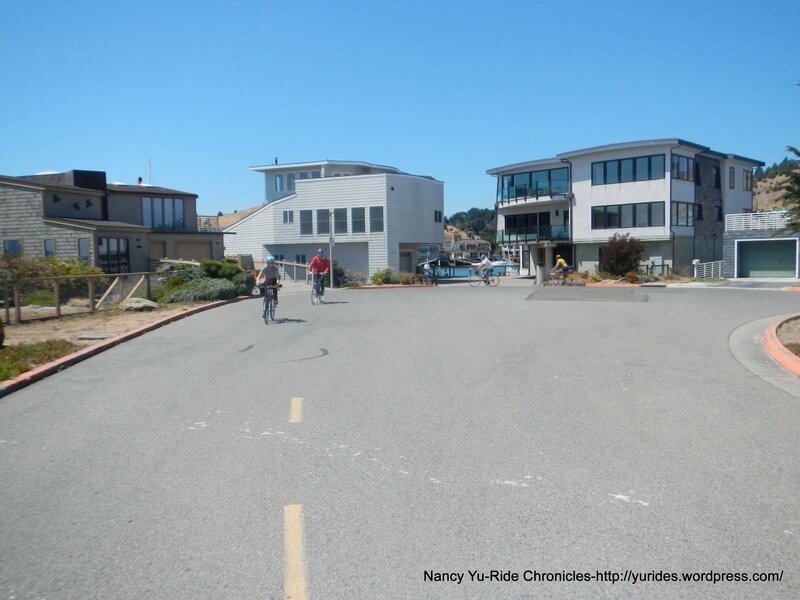 Lynn was able to reserve the whole area for our group. 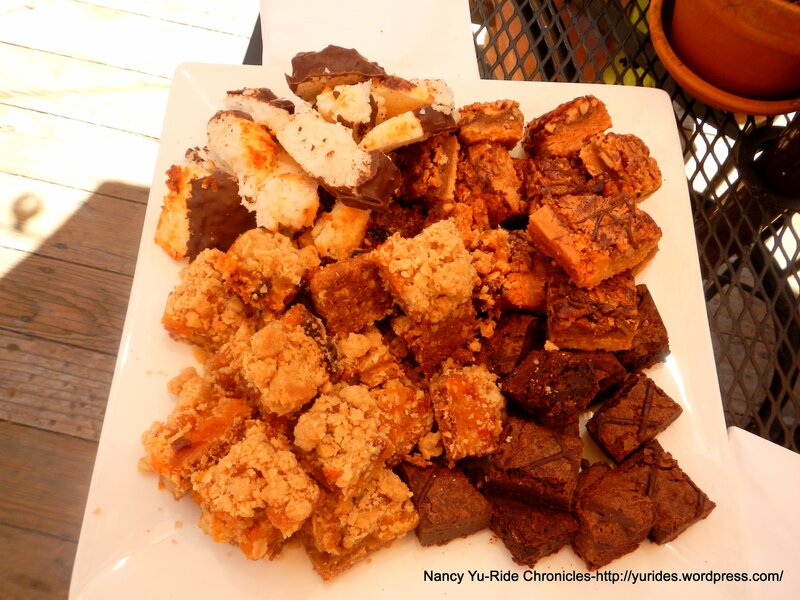 The birthday treats of apricot & nut bars, macaroons and brownies were absolutely delicious! 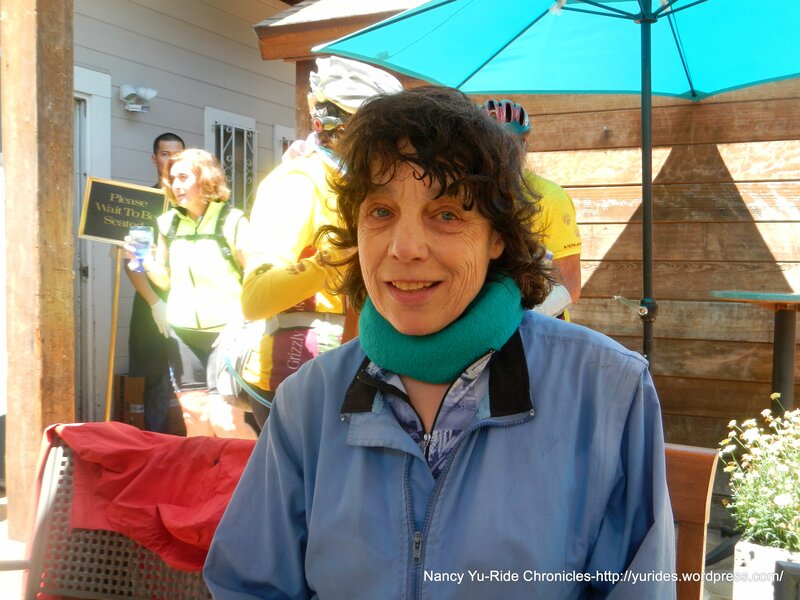 Thank You and “HAPPY BIRTHDAY!” Lynn! 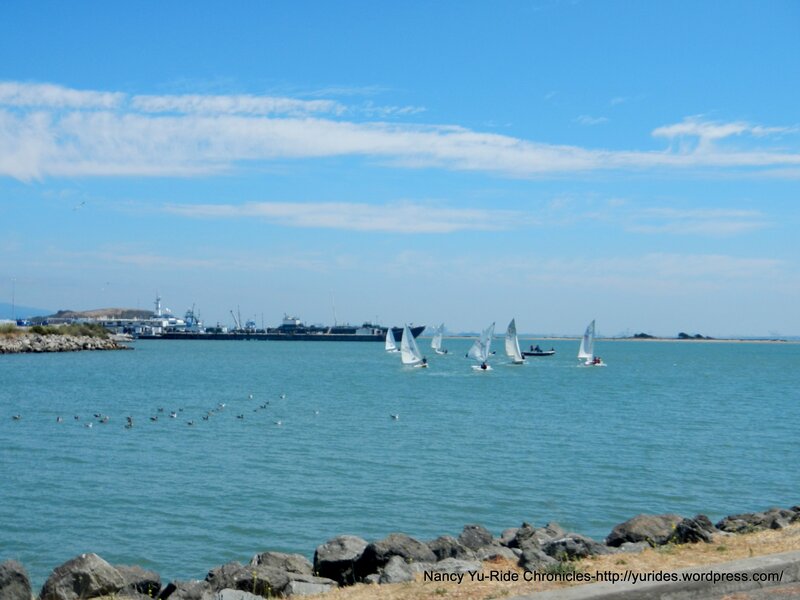 The post lunch route includes going through the Ferry Point Tunnel for the loop out to Brickyard Cove and Sandpiper Spit. 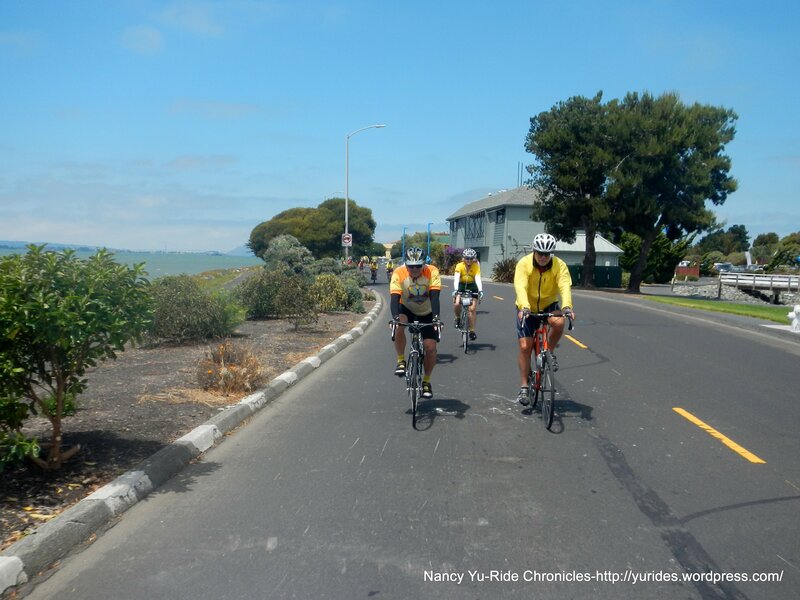 The climb up Seacliff Dr drops us down to Canal and Cutting Blvds. 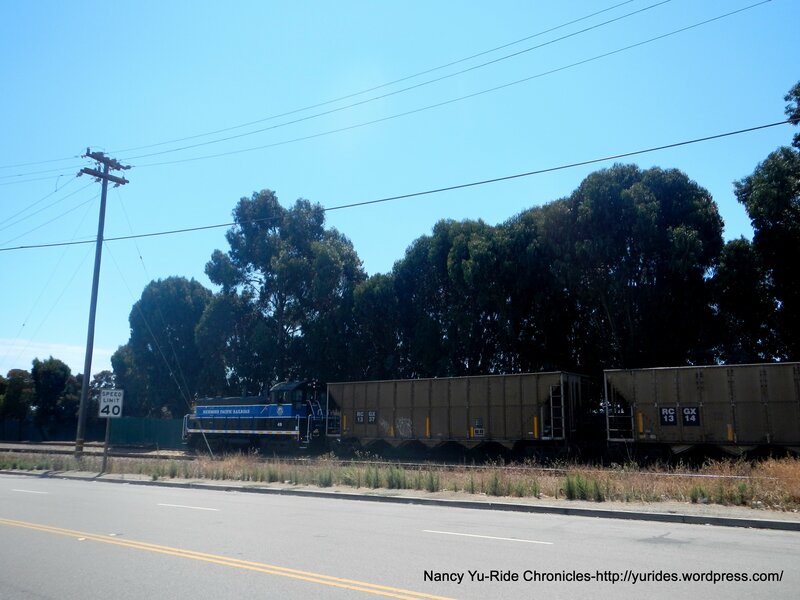 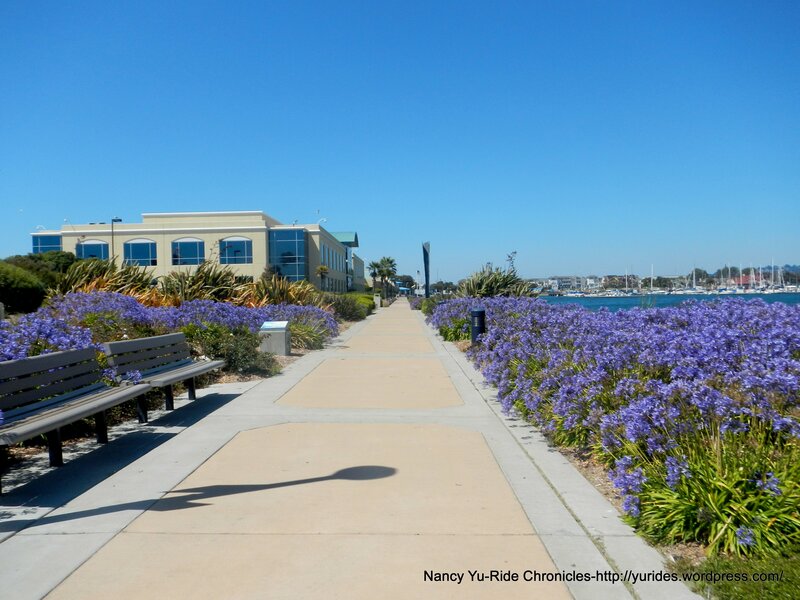 From Cutting Blvd, we retrace our route back to Craneway Pavillion and to the Bay Trail. 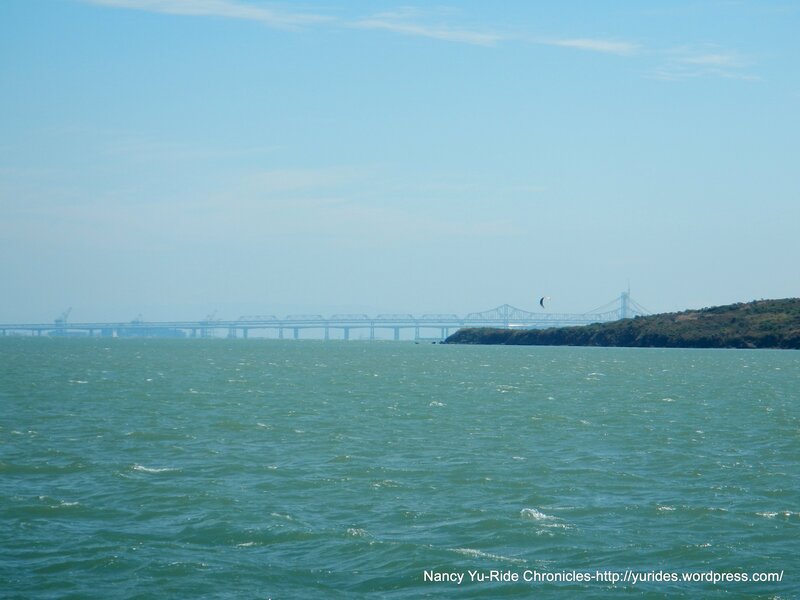 It’s a fabulous day to be outdoors-sailing, kite surfing, cycling and walking. 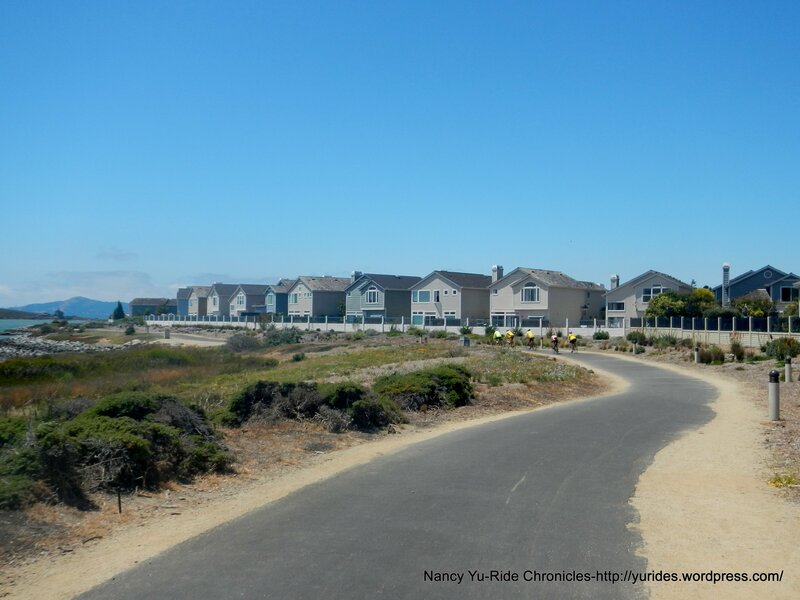 We live in a wonderful part of California! 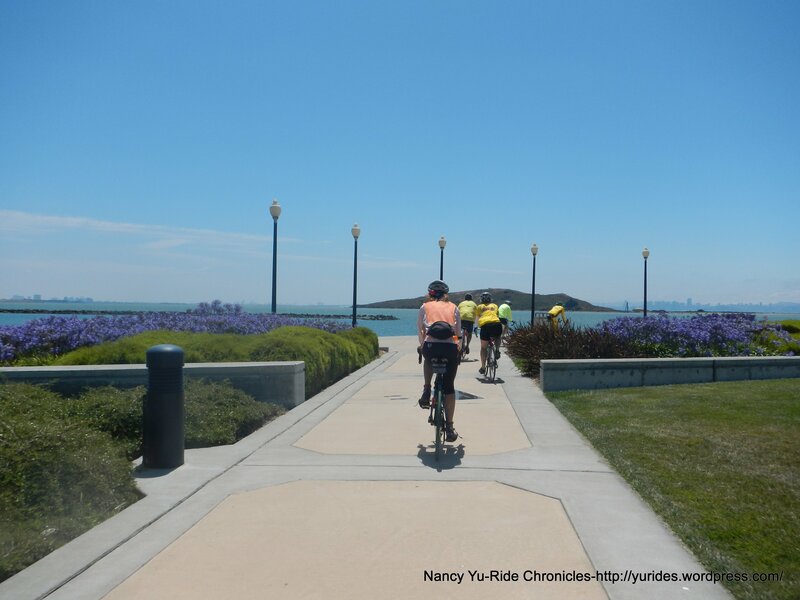 The whole group has split up-some are way ahead and probably back at the Marina and a few stopped at the new Rosie the Riveter Visitor Education Center. 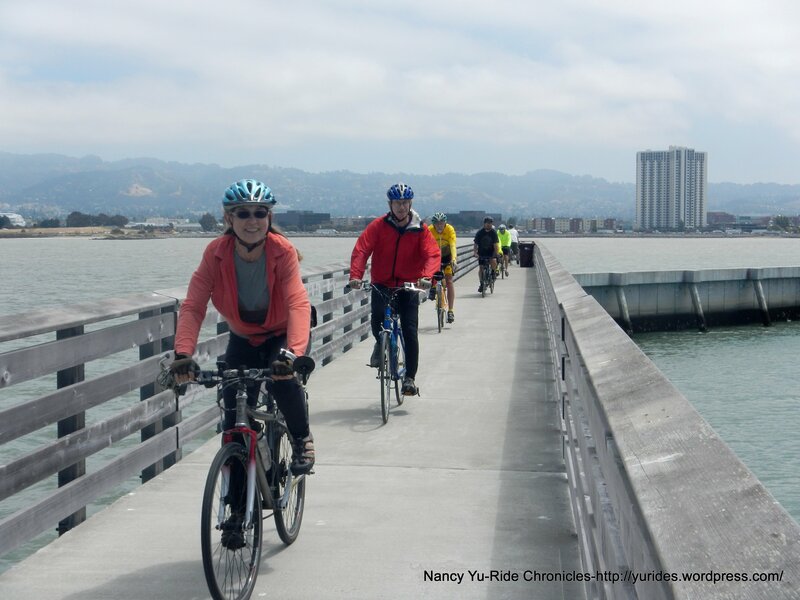 Me, I still have to ride back home to Martinez, so I opt not to attend Lynn’s Happy Hour at Skates by the Bay for cheap eats and drinks. 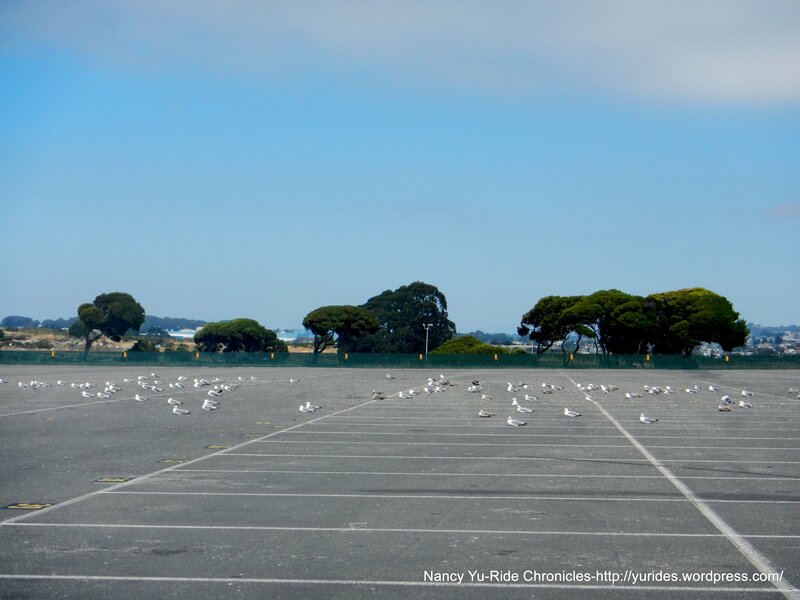 I hope everyone had a smashing good time at Skates By the Bay! 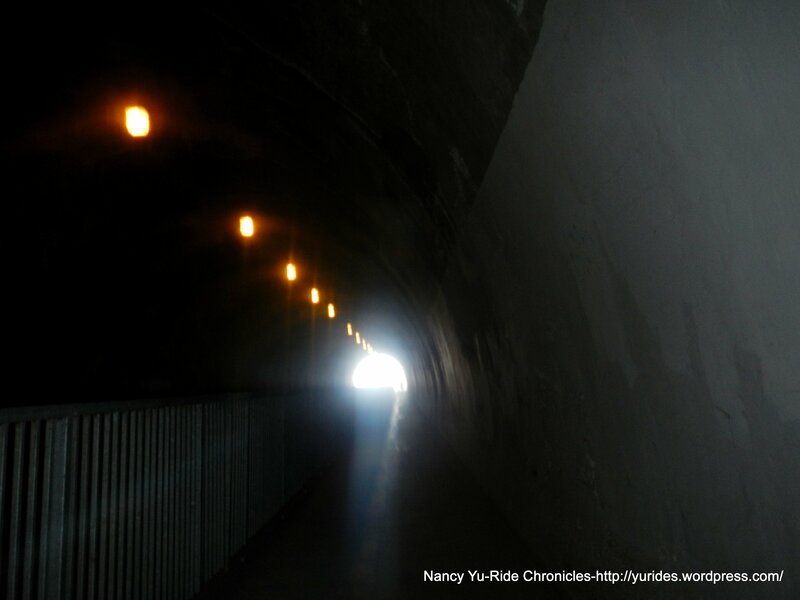 Aren’t grown up people just little children at heart?